The United States Holocaust Memorial Museum’s Jack, Joseph and Morton Mandel Center for Advanced Holocaust Studies and Rowman & Littlefield are proud to present this new, groundbreaking series of source volumes that provide a fresh perspective on history using firsthand accounts of the lives of those who suffered through the Holocaust, those who perpetrated it, and those who witnessed it as bystanders. Documenting Life and Destruction combines a wide range of documents from different archival holdings with additional information to enhance the understanding of the events in this crucial period. Jewish Responses to Persecution, 1933–1946 presents documentation that describes the manifestations and meanings of Nazi Germany’s “final solution” from the Jewish perspective. This principal publication in the Documenting Life and Destruction series consists of five volumes. The volumes, divided chronologically, feature a total of almost 800 contemporary Jewish documents, ranging from personal diaries, letters, and photographs, to documents of international Jewish organizations, ghetto Jewish councils under Nazi assault, Jewish newspaper articles, and other items. The documents are embedded in a clearly written and accessible yet scholarly and insightful narrative which integrates them into the general history of the Holocaust. Volume I, covering the period 1933–1938, takes us from Hitler’s rise to power through the aftermath of Kristallnacht and vividly reveals the increasing devastation and confusion wrought in Jewish communities in and beyond Germany at the time. It features period photographs and reproductions of original documents with translations and annotations as well as a chronology, glossary, bibliography, and index. Volume II, which covers the period between 1938 and 1940, brings together a broad range of documents–including diaries, letters, speeches, newspaper articles, reports, Jewish identity cards, and personal photographs–from Jews in Nazi-dominated Europe and beyond Europe’s borders. 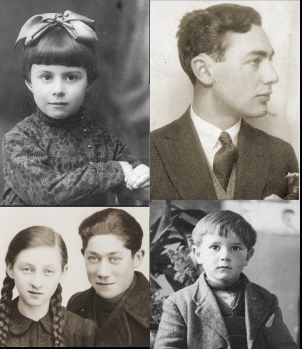 It illuminates the daily lives of a diverse range of Jews who suffered under Nazism, their coping strategies, and their efforts to assess the implications for the persecution they faced during this period. Volume II begins with Kristallnacht in 1938 and continues through Jewish flight out of Germany, the onset of World War II, the forced relocation of the Jews of Europe eastward, and the formation of Jewish ghettos, particularly in Poland. Volume III, which covers the period between 1941 and 1942, sheds light on the personal and public lives of Jews during a time when Hitler’s triumph in Europe seemed assured, and the mass murder of millions had begun in earnest. Volume IV covers the peak years of the Nazi “Final Solution,” tracing the Jewish struggle for survival, which became increasingly urgent during this period, including armed resistance and organized escape attempts. This profoundly informed volume provides an in-depth overview of Jewish assessments of the evolving Nazi Judenpolitik in the early years of World War II. The author showcases the perceptive reports compiled by two Geneva-based offices, among the first to predict the threat to millions of Jews with the rising tide of Nazi rule over Europe. Combining rich documentation selected from the five-volume series on Jewish Responses to Persecution, this text presents a carefully curated collection of primary sources together with basic background information to illuminate key aspects of Jewish life during the Holocaust. These letters, reports, and testimonies, as well as photographs and other visual documents, provide an array of first-hand contemporaneous accounts by victims. 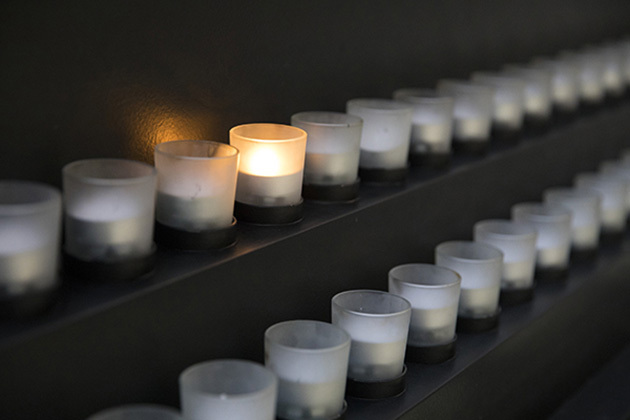 With its focus on highlighting the diversity of Jewish experiences, insights, and actions, the books calls into question prevailing perceptions of Jews as a homogenous, faceless, or passive group and helps broaden students’ understanding of the Holocaust. The International Tracing Service (ITS) in Bad Arolsen, Germany, is home to tens of millions of documents containing information on over 17 million people who were subject to incarceration, forced labor, displacement, or death as a consequence of World War II. This volume offers a point of entry into this complex and often misunderstood collection with great potential to advance scholarship and education on the Holocaust and its aftermath. By combining his diary notes with additional key documents and in-depth analysis, this book shows Alfred Rosenberg’s crucial role in the Nazi regime’s anti-Jewish policy. In the second half of 1941 the territory administered by Rosenberg became the region where the mass murder of Jewish men, women, and children first became a systematic pattern. Indeed, months before the emergence of German death camps in Poland, Nazi leaders perceived the occupied Soviet Union as the area where the “final solution of the Jewish question” could be executed on a European scale. Covering almost the entire duration of the Third Reich, these previously inaccessible sources throw new light on the thoughts and actions of the leading men around Hitler during critical junctures that led to war, genocide, and Nazi Germany’s final defeat. Only two of Hitler’s intimates kept diaries of interest. Goebbels’s volumes have long provided valuable insights into the gossip, rivalries, and self-serving arguments of the Reich leadership; now we have the thoughts of Alfred Rosenberg. This splendid volume is the result of years of effort by the United States Holocaust Memorial Museum (USHMM) to locate and secure more than 400 pages of loose-leaf paper covering the years 1936 through 1944, as Rosenberg rose from the Nazi Party’s ideologue and author of The Myth of the Twentieth Century (1930) through his appointment as ruler of the Occupied Eastern Territories in July 1941, thus ushering in the wholesale programs of looting and mass murder. This remarkable and important book is the result of a partnership with Munich’s well-known Institut für Zeitgeschichte. Rosenberg’s diary, translated into English by Matthäus (USHMM) and Bajohr, from the Munich Institute, is supported by lengthy footnotes, illuminated by 60 pages of additional documents from the Museum’s voluminous holdings, and put in context with pages of related sources. Admirably, the book is being digitally prepared for online access. A valuable resource that belongs in every collection on the Third Reich and the Holocaust. This invaluable work traces the role of the Einsatzgruppen of the Security Police and SD (Sicherheitsdienst), the core group of Himmler’s murder units involved in the “Final Solution of the Jewish Question,” during and immediately after the German campaign in Poland in 1939. With carefully selected primary sources contextualized by the authors’ clear narrative, this work fills an important gap in our understanding of a crucial period in the evolution of policies directed against Jews, Poles, and others deemed dangerous or inferior by the Third Reich. Supplemented by maps, photographs, and a chronology, this book will be an essential reference and research tool. Features sources on the causes, stages, and consequences of the destruction of the largest Jewish community left intact in German-dominated Europe in 1944. The volume shows how after the German occupation of Hungary the complete disenfranchisement, plunder, ghettoization, and deportation of the Jews was implemented at an almost unprecedented speed. Combines a fascinating account written in the town of Peremyshliany, western Ukraine, in 1942–1943 with a selection of postwar testimonies, and wartime German documentation on the persecution and mass murder of Jews in this under-researched region.